This is a very unique Cospri's Malice build based on full Elemental Damage conversion to Fire and two powerful triggered Fire Spells. These are Glacial Cascade socketed in Cospri's Malice and Purifying Flame triggered by Cast on Critical Strike Support Gem. Both Spells deal Physical Damage, which allows us to greatly benefit from Chieftain's damage conversion, and as a class, this build provides much better defenses and end-game viability. You can also check our other Path of Exile builds by clicking on this link. This build is very straightforward. You use Cyclone to breeze through enemies and trigger extremely powerful Fire Spells whenever you Critically Strike. The mechanic is very similar to all the other Cospri's builds, however, Chieftain class provides higher DPS and defenses, but is much harder to level up if you decide to directly follow your final Passive Skill Tree. Chieftain will also require more specific gear to reach satisfactory Accuracy and Critical Strike Chance needed to proc your Spells. It is recommended to level up this character with Molten Strike and to equip One-handed Weapon and a Shield. You can follow the route to Shadow's part of the Skill Tree and collect a bunch of useful Passives on the way. This way, you won't have to refund too many of the Passives allocated making it the most efficient option. Molten Strike is the best melee skill and will get you to Maps easily, but with the number of items required for this build, we would not recommend it as a League Starter build. Below you will find all the required gear for this Purifying Flame Chieftain build. Sadly, it does not give you much freedom in terms of item choices, and in order to fully utilize this build's potential, it's recommended to grab all the items listed. You can try to replace some of the items, but without sufficient Accuracy Rating and Critical Strike Chance, you will hardly ever trigger Spells making this build feel very clunky. If you would still like to try it with fewer restrictions - Assassin may be a better option. 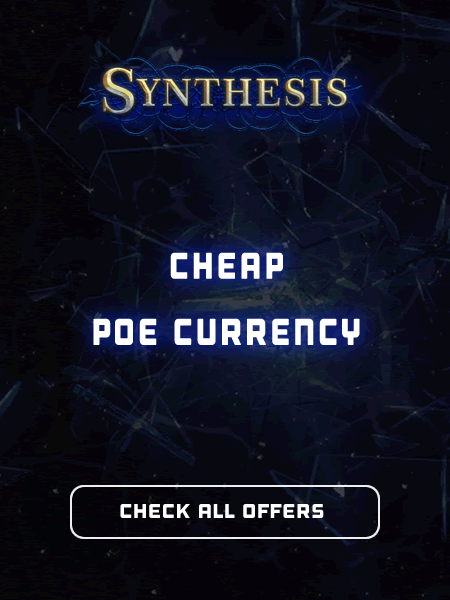 At this point, we would love to invite you to visit our Path of Exile Marketplace where you can buy cheap PoE Currency from other Path of Exile players. You can enter it via the main bar on top of the page. If you have any other build requests please leave that in the comments below. We will also appreciate if you let us know how good is your progress if you have decided to try this build out!